When should I replace my windshield? This may seem like a rhetorical question but I assure you, it is not. Most states mandate by law the condition in which a vehicle's windshield must be in to operate safely. 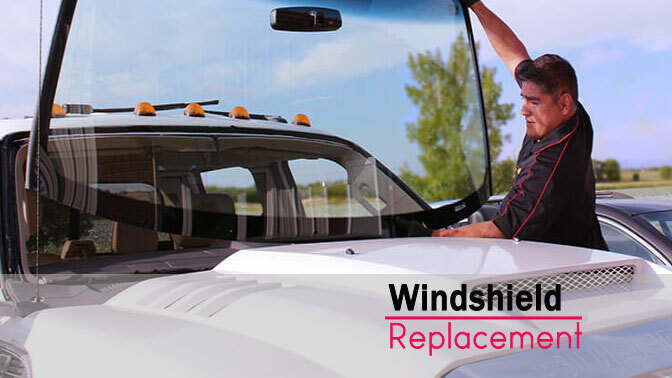 It is obvious to most when a windshields replacement is necessary but I am sure, like most, you have all passed the car on the road whose windshield was shattered so badly you had to wonder how they could see to drive. So clearly there are those who do not realize when it is time to visit their local Auto Glass Company to have their windshield replaced or repaired. Basic road hazards are the most common reason for shattered auto glass. A rock flies out from under the tires of another vehicle or a bird flies into your windshield while you're doing 70 mph on the interstate. These things cannot be avoided but can cause massive amounts of damage to your vehicle and your insurance deductible will still apply. Nonetheless it is still necessary after experiencing a mishap such as these to take your vehicle into a glass repair shop to have the damage evaluated if you are not sure if it is in violation of state law. When your windshield is cracked, broken, has spider webs (tiny cracks that actually resemble spider webs and get bigger when it is cold. ), or internal cracks that you can see but not feel, it is most likely time to have it replaced or repaired. If you are unsure what the law mandates in your state, you can do a quick internet search or most local auto glass repair shops are up to date on these laws. While replacing your vehicle's windshield can be very costly and time consuming it is important to make sure it is in good repair not only for your safety but for the safety of your passengers. A broken windshield decreases visibility and impairs the driver's ability to operate the vehicle safely. If you notice any scratches, cracks, or damage to your auto glass that is lowering your ability to see clearly you should have it repaired immediately. If you are unsure of the extent of the damage because it is not interfering with visibility, just take it in to a repair shop and have it evaluated by the professionals. After all, you wouldn't drive a car on a flat tire would you?! Wow, i can see clearly now!